Lauren graduated from the University of Technology, Sydney in 2018 with a Bachelor of Business majoring in Marketing Communications, and a Bachelor of Laws. Lauren was also admitted as a solicitor in New South Wales in the same year. 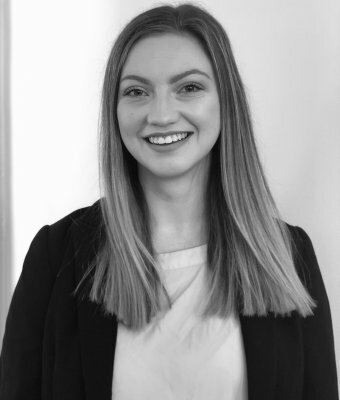 Lauren joined Storey & Gough in 2018 and has complimented the team with sharp research skills and a keen eye to detail. During her studies, Lauren worked in the NSW Civil and Administrative Tribunal as a tenants’ advocate, which has also equipped her with strong skills in negotiation, mediation and advocacy. Since joining Storey & Gough Lauren has regularly appeared in the Local Court for a number of Councils in criminal prosecutions relating to offences against the Road Rules, the Environmental Planning and Assessment Act, and the Protection of the Environment (Operations) Act. Lauren assists the firm in preparing Wills and Estate Planning documents, and with a strong interest in planning law, Lauren is gaining experience assisting the partners in all Land and Environment Court matters. Outside of work Lauren enjoys playing tennis, spending time with her friends and family, and brunch!